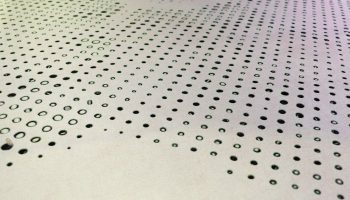 Holes: punching, laser cutting, or burning out? Different solutions for different kinds of designs. 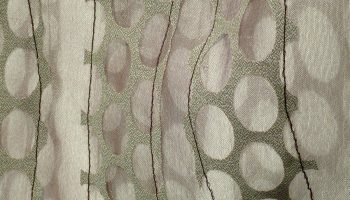 Burn-out is a print technique that removes parts of fabric, creating holes or transparency. 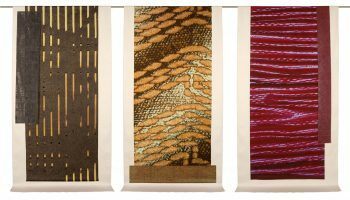 Three digitally printed fabrics commissioned by the Dutch Textielmuseum. 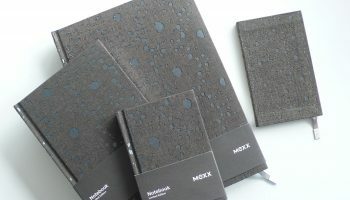 Fabric with lace motif, combining burn-out chemicals and a silicone rubber coating.